area of site management. 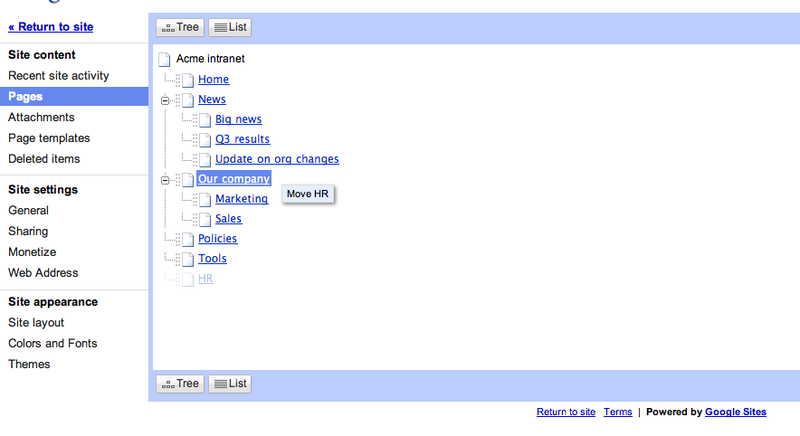 Site owners and collaborators can try it out on via Manage site > Pages in the tree view. We hope you like this little time-saver. Page organization is an important part of using Google Sites, especially when you want to make a lot of changes to your Site’s structure. 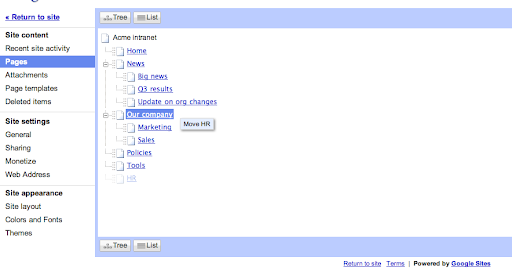 To make it easier and save you time, we just enabled drag and drop functionality in the Pages area of site management. Site owners and collaborators can try it out on via Manage site > Pages in the tree view.